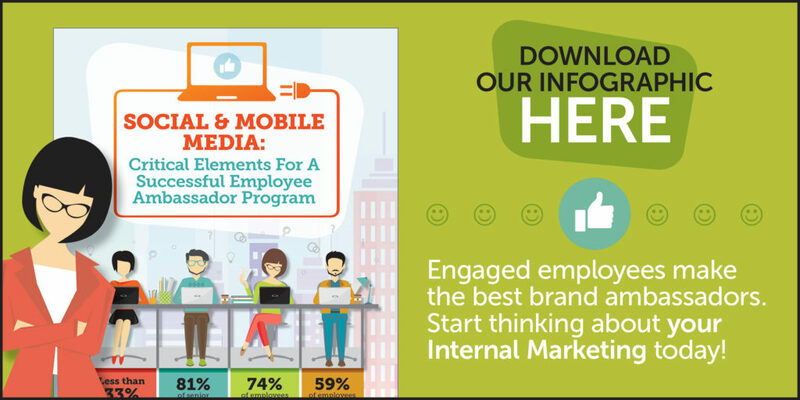 Engage employees with internal marketing! Companies often overlook the most obvious and important asset in their marketing arsenal: their employees. While client facing employees are regularly briefed on company goals, expectations and culture; others may not be. It is important to include the entire employee base in order to move an organization forward and that can be done by executing an internal marketing strategy. Click image to download the infographic.